Updated 10:53AM, Monday December 10th, 2012	by Aaron Lewendon, Christian.co.uk Be the first to comment! Christmas songs have long been divided into two categories. Traditional hymns such as The First Noel and upbeat jazzy contemporary tunes such as Rockin’ Around The Christmas Tree. 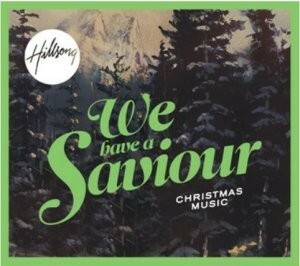 But now Australia’s most famous church are seeking to break the mould with their new Christmas album We Have A Saviour. The folk sound marks a new direction for the Hillsong team. The summery vibe will shock UK residents who are used to “the weather outside is frightful” imagery that Christmas usually conjures up. But in Australia, where a BBQ on the beach is the norm for Christmas day, the music is suitably different. Autumn explains the team were aiming for a “more eclectic” feel to the album. The album, which is Hillsong's first full length Christmas album since 2005's Celebrating Christmas, sees the team pull together people from all areas of the Sydney based church. From volunteers bringing in their accordions to members of youth band Hillsong United and experienced worship leaders such as Darlene Zschech and Reuben Morgan, Autumn says the project was “a collective effort”. This collaboration meant some new experiences in the studio for the team. One of Autumn’s favourite songs is the team’s cover of God Rest Ye Merry Gentlemen. “We were looking at this song and we probably did six different arrangements of it thinking it’s an old carol how can we make it fresh and fun? “We had this arrangement recorded and were going ahead with it. I was listening to it on the way home in my car and thinking something is not awesome about it, there’s got to be a different way. “Anything that comes out of our house and church is always designed to resource the church. Even the original songs we wrote were ultimately for church and we said lets put them on the album as well. “I get excited about our Christmas album because people are open to the gospel at Christmas time. And you get these Christmas carols that regardless of religion everyone wants to listen to around this time of year. “I get passionate about this album because it’s a great evangelistic tool. Not only can it be used in churches but also to really reach people for the gospel that wouldn’t normally come to church. That’s part of why we put more interesting musical elements in to widen that reach.